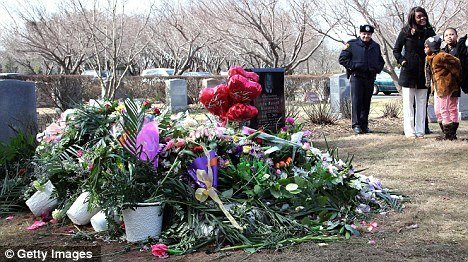 A day after Whitney Houston was buried at Fairview Cemetery in New Jersey her grave appeared covered by flower. Following a very public farewell to Whitney Houston at a funeral attended by thousands yesterday, the late singer was laid to rest surrounded by just a select few in New Jersey on Sunday. Whitney Houston was buried in a private ceremony at the Fairview Cemetery in Westfield, New Jersey, where her father, John Russell Houston Jr., was interred in 2003.